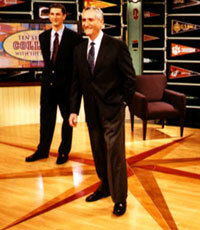 Matthew Greene (L) and Howard Greene (R) on the set of Ten Steps to College with the Greenes. Being homeschooled should not limit students' options. Students with physical or learning disabilities, or attention disorders, face unparalleled access to higher education in America today. Good news  transfer admission is not only possible, but sometimes even preferable. Almost every college and university in the country accepts the General Educational Development (GED) in place of a standard high school diploma. Enrollment of international students has continued to climb in the U.S., even after the events of September 11, 2001. As the number of students earning undergraduate degrees increases, a graduate degree is becoming ever more important as a professional calling card and career foundation.